Our goal is to connect people with the best local experts. 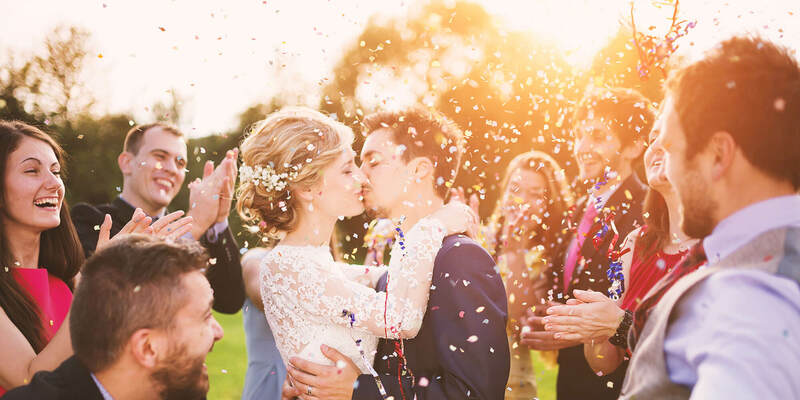 We scored wedding photographers on more than 25 variables across five categories, and analysed the results to give you a hand-picked list of the best wedding photographers in Omaha, NE. The Omaha-based photographer features wedding photography, engagement sessions, and a photobooth complete with props. Wedding packages can be fully customized for her Nebraska-area clients. Adrienne, the owner and photographer, also offers portraits for families, children, and high school seniors. One customer praised Adrienne's photographs as, "traditional, unexpected and unique." C41 Photography is a premium photography studio offering a range of services. The studio specializes in family, baby, wedding, and graduation photography. They serve the Omaha metro area. Chelsea Jo Photography is a wedding photographer located in Omaha. They specialize in engagement, wedding, family, and portrait photography. Clients rave that the photographer is very easy going and offers reasonable pricing. Established in 2004, Digital Memories 4U Photography & Videography offers all-inclusive packages. The company specializes in wedding photography and videography for the Omaha metro area. GBY Photography is an Omaha metro area based photographer. They offer engagement, boudoir, wedding, portrait, newborn, maternity, and senior photography services. Sessions for destination weddings are available upon request. Green Feather Photography specializes in engagement, wedding, family, and individual portrait photography. The photographer trained at Brooks Institute of Photography in Santa Barbara. They serve the Omaha metro area. In His Image Film & Photo specializes in local and destination wedding photography and videography. The studio specializes in Omaha weddings and engagements and has a history of delighted customers. Jada Scott Photography is a studio specializing in photography for weddings, engagements, senior portraits, newborns, and families in the Omaha metro area. Clients rave that the photographer captures unique shots and is great at connecting with her customers. Founded in 2004, Jami Lea Photography studio is based in Lincoln, Nebraska and serves the Omaha metro area. The photographer specializes in family, newborn, maternity, high school senior, headshot, engagement, and wedding photography. Dedicated exclusively to wedding photography, Lane Weddings offers clients a photojournalistic style to capture candid moments. The photographer is a recipient of MSNBC "Readers’ Choice Award" with work featured in The New York Times, TIME Magazine’s Pictures of the Week, and USA Today. The studio serves the Omaha metro area. Lindsey George Photography is an Omaha-based wedding photography company. They offer custom photo packages for engagement shoots, commitment celebrations, and weddings. They were featured in The Knot’s ‘Best of Weddings Hall of Fame’ and Wedding Wire’s ‘Couples Choice Awards’. Based in Lincoln, Megan Kovar Photography specializes in engagement and wedding photography. The studio serves Omaha, Wahoo, David City, and Beatrice, Nebraska. Destination wedding photography services outside the region are available upon request. M.J.B. Photography is an award-winning Omaha-based photography studio. They offer photography services for engagements, weddings, family, and individual portraits. Customers praise M.J.B. photographers for their professional service and reasonable prices. PicYourPhotosbyRoger is an established photography studio in the Omaha metro area. They have more than 30 years of experience in traditional and digital photography for weddings and engagements. They also provide high school senior portraiture and family photography. Rachel Wakefield Photography is a photography studio that uses a contemporary style to shoot weddings and engagements. The studio's photography and videography services are available throughout the Omaha metro area. Red Feather Photography is a full-service photography studio serving clients in Lincoln and Omaha. They offer photography services for engagements, weddings, family, and individual portraits. They are open to travel for destination weddings. Samantha Lupo Photography specializes in wedding, boudoir, newborn, and family photography. Clients rave that the photographer comes with the perfect balance of professional and fun. The studio serves the Omaha metro area. Taylor Meyer Photography is an established commercial and professional photography studio in the Omaha area. The studio specializes in weddings, engagements, events, portraiture, nature, and sports photography. TK Imaging serves the Omaha metro area and offers travel options for destination weddings. They specialize in engagement, wedding, and portrait photography. Tom Sterba Photography is an Omaha-based photography studio. The company specializes in photography and videography for weddings and engagements. They are a recipient of WeddingWire's 2015 "Couples Choice Award" and a 5-time winner of "Nebraska Wedding Photographer of the Year".